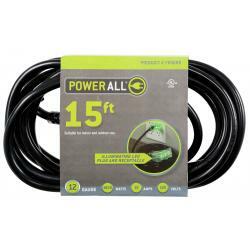 Power All® three outlet 14 gauge extension cords are the ideal cord for use in your indoor/outdoor garden. 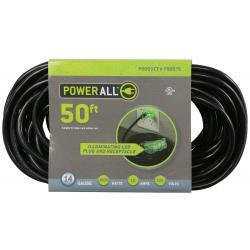 These commercial grade weather resistant extension cords feature a non-interfering green LED light for the plug and outlets indicating the cord is "hot". 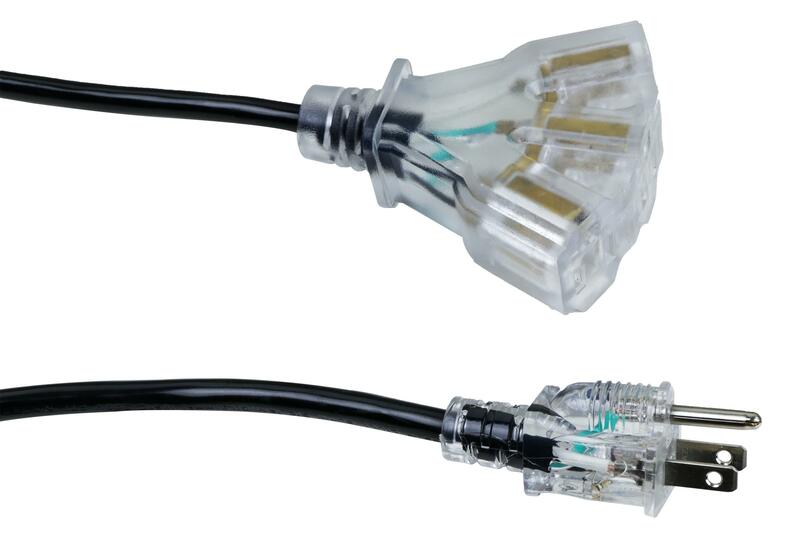 Heavy duty connectors are shatter resistant and will not deform, even in abusive industrial environments. 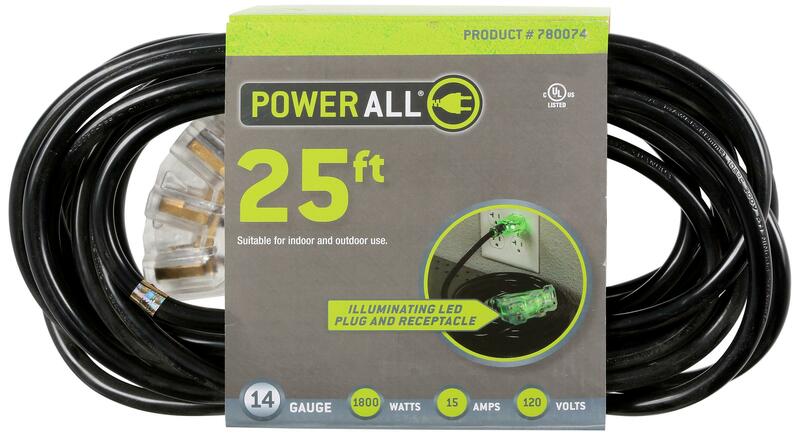 These molded-on plugs and connectors are specially designed to prevent unwanted separation during use. 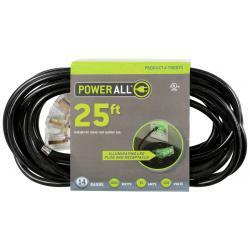 The heavy duty cords are grounded with a molded connector, as well. 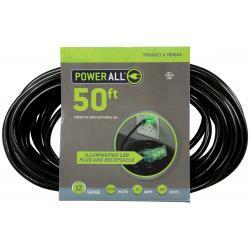 These Power All® cords are sunlight and water-resistant and constructed to be flexible yet durable. 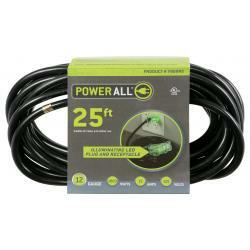 Power All® cords are flame retardant. 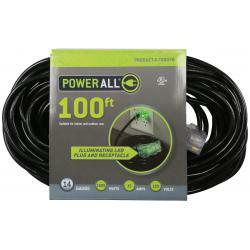 14 Guage/15A/1800 max watts.